Utahns bucked a national health-care trend for 2019, increasing enrollment in Healthcare.gov insurance plans despite the repeal of the Affordable Care Act’s individual mandate and slumping enrollment numbers nationwide. Preliminary numbers released last month showed Utah enrollment dipping slightly compared to the prior year’s open enrollment period. But a final count, released Friday by the Centers for Medicare and Medicaid Services, or CMS, showed 194,570 Utahns enrolling in individual insurance plans for 2019 through the federal exchange, compared to 194,118 for 2018. “I’m as surprised as anyone,” said Randall Serr, Director of Take Care Utah, which assists individuals in signing up for and utilizing health insurance. Serr said growth in the state’s population could be fueling the increase in insurance enrollment, as well as an increasing familiarity with Obamacare plans and Healthcare.gov among consumers. The individual marketplace is typically utilized by individuals who are not part of employer-sponsored health-insurance plans. 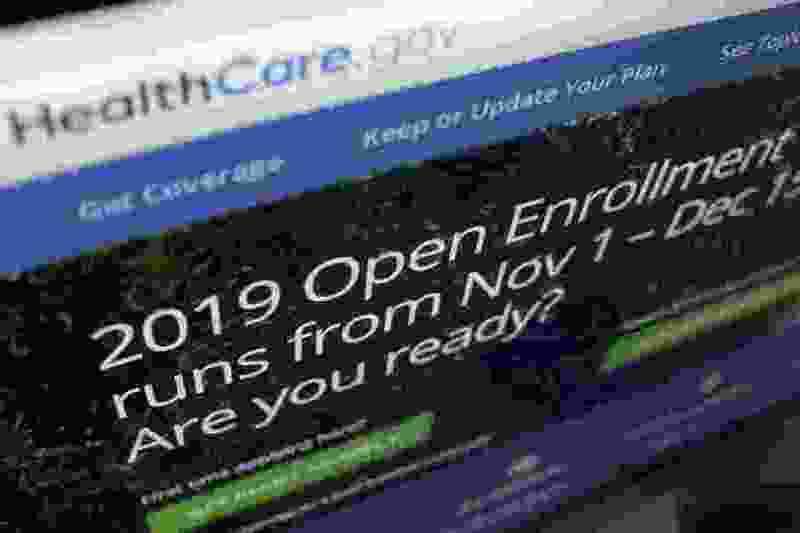 But Serr also speculated that a primary factor in the increased numbers was a late surge of sign-ups in the final days of the open-enrollment period, which led to many individuals not finalizing their enrollment until after a preliminary count was taken. “That is, I think, why we saw the bump,” he said, "those last-minute people signing up afterward. Serr previously remarked that a small dip in Utah’s enrollment was notable given the various attempts to repeal the Affordable Care Act, the successful repeal of the individual mandate — which required all citizens to either sign up for insurance or face a financial penalty — a lawsuit by Utah and other states challenging the federal health care law and the cuts to Healthcare.gov marketing efforts by the Trump administration. Now that the numbers show a slight increase, Serr said it’s even more clear there is a demand for individual health insurance through the Obamacare exchange. “With all the uncertainty over the past couple years, the fact that it’s gone up in Utah is incredible,” he said. A CMS statement that accompanied Friday’s release of the final enrollment numbers noted that a strong economy and low unemployment rate have reduced the demand for subsidized, individual health insurance.